Sedna, Great Ocean Goddess. New planetoid. Climate Change. Flooding. Sedna is a new planetoid symbolising sea creatures, climate change and huge global movements of water - such as the Tsunami, Hurricane Katrina and the widespread flooding of the later part of the last decade. 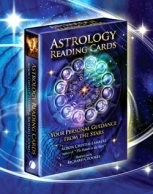 She is a significant new Goddess energy who clearly means to be heard! In this article I explain her story and what we have to do to appease her. Sedna is very, very far away. Planets near to Earth and the Sun take around a year or two to make one complete circle around the Sun. Sedna has a very strange orbit that takes over 10,500 years to complete. She swings out in a great loop to the very edges of our solar system, half way to the next star. And even when she is in the part of her loop that is nearest to us, she is still 3 times further out than Pluto, and that`s an unimaginably long way! No one knows why she does this, there is nothing else like her, and she doesn`t fit in with any other known celestial body. The planetoid Sedna is named after a Goddess of the Inuit or `Eskimo` tribes who live in northern Canada and Greenland. Her discoverers compared her isolation in the icy cold distant reaches of our Solar System with the bottom of the frigid sea in the icy distant reaches of the Arctic. As they usually picked the names of Greek or Roman deities, this was an unusual departure from normal practice. But Sedna had broken all the nice neat rules of the solar system model with her very existence, so why not break a few more? The myth of Sedna comes from the Inuit or `Eskimo` tribes who live in northern Canada and Greenland. 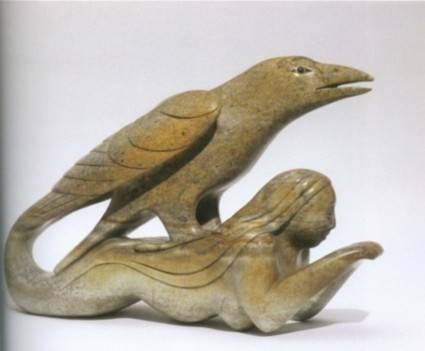 Sedna is described as a beautiful young Inuit girl who is proud and rejects the offer of marriage made by many suitors. Whether or not there was an earlier happy or unhappy marriage to a dog with consequential puppies involved, is a matter of difference in conflicting stories. However the main plot in all of them is her eventual marriage to a well-dressed Fulmar (related to the albatross) bird-man in disguise, who wooed and offered the appropriately comfortable life. They paddle off to his island in his boat, but Sedna soon finds out that he is not the convivial human mate she envisaged, and is fed sparsely and kept in primitive conditions. Some legends have her crying into the howling wind. Father then arrives and Sedna begs to be returned to her family home. They sneak off in Father`s boat but the birdman returns and gives chase. Mid ocean a battle ensues, with the Fulmar flapping his wings so furiously to prevent Sedna`s escape, that the kayak looks likely to sink in the huge storm. The waters around them rage. Fearing for his own life the Father throws his daughter overboard, hoping that if she isn`t on the boat with him, that he may be spared. Now here`s the gory bit! As Sedna desperately swims back to the kayak and clings to the boat, her father repeatedly cuts off her fingers to prevent her. As the severed fingers sink into the ocean they become sea creatures, the first ones becoming fish then seals, then walrus, then whales. Her father escapes death in the battle and as Sedna sinks and dies; she becomes the Sea Goddess of the Inuit tribes, governing this vital source of food and therefore life, in these extreme northern lands. As Goddess of the Oceans, Sedna applies strict rules and conditions for the Inuit to fish by, or she withholds the seas bounty until properly appeased. One of these strict rules is with regard to the animal`s spirit as it is killed. If any rule is broken the tribes Shaman leader has to appease her by making a spiritual journey to visit her, and must comb her hair whilst finding out what the tribe must put right before they starve. Remember she doesn`t have the fingers to comb her own hair. She is both deeply feared and deeply respected by the Inuit people who see her as a primal force of nature and an all-pervading presence, both creative and destructive. The story mixes together human and animal figures, meaning we are almost interchangeable. 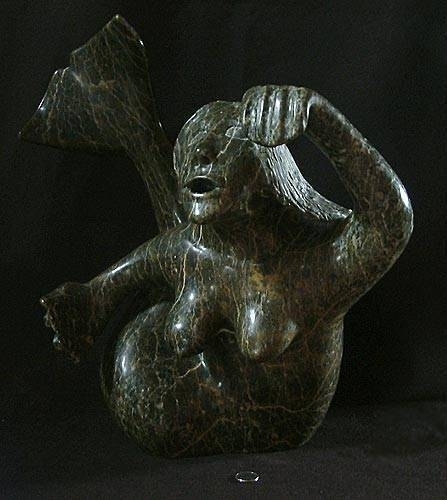 Because Sedna controls the food supply, this Inuit Goddess has the highest status out of all their deities, and is much more powerful than humans. Her emergence at this time boosts the feminine divine energy of our universe. Note that the Shaman has to comb her hair as an act of homage and reverence. This tells of her vanity and her pride, but also points to her wounding at the hands of the patriarchy and how he must tend to her as a result of her wound. She cannot tend to her self, but she demands this act of subservience as repayment. She was treated badly by the representatives of the masculine hierarchy in her life and although they appear to have `killed` her in the tale, she now controls the ultimate power over the survival of the whole race, and appears quite demanding and stroppy with it. It is interesting that Sedna the `planet` or `object` has a reddish tinge to her light, which is puzzling the scientists. The only other planet to have this is Mars, so named after the God of War. In the myth Sedna was initially renowned for her pride and her refusal to submit to several suitors. Perhaps she is an archetypal red-head? WHAT DOES THIS MEAN FOR THE PLANET EARTH? Well that`s a good question! Let`s start with….. The great storm summoned in her myth, and her rulership over the oceans, give us strong signposts. The year of Sedna`s discovery announcement saw the biggest Tsunami that the world has ever known, with an estimated 227,898 killed. The earthquake that started the Tsunami registered 9.1 on the Richter scale. An interesting point regarding the Tsunami was the remarkable lack of loss of animal life that was commented on widely at the time. Elephants clearly knew it was coming and stampeded to high ground. I wonder if they got psychic information from the sea creatures? Given Sedna`s protection over the mammals of the deep, and animals in general, it would be in keeping with her spirit to save them. Nearly every culture on Earth has a flood myth, from American Indians to the Babylonians to the Irish to the Bible, so it is reasonable to assume that all these unrelated cultures actually do speak of some prehistoric huge flood that killed all but a few. But… these myths always speak of the careful saving of the animal species so they can re-populate. This is consistent with Sedna`s theme. Hurricane Katrina was also out of the `ordinary`, being the most destructive hurricane ever to strike the United States. I simply cannot ignore the synchronicities between the myth, Sedna`s discovery and the bird flu pandemic that began in 2003, and became a world issue in 2004. The bird (Fulmar) in the myth was determined to assert himself at all cost and Sedna could hardly think kindly of him as a result. I am left wondering is she symbolises difficult times for birds! About 10,000 to12,000 years ago, there were some strange global phenomenon that the scientists of today puzzle about. Both the sabre-toothed tiger and the woolly mammoth suddenly became extinct in Europe during this period, along with at least 35 major species of animals in North America. A University of Washington Professor of Anthropology believes some kind of wide scale trauma occurred, specifically, `rapid global warming`. At the University of Michigan they have been researching theories on what happened 10,000 to 11,000 years ago that caused a very sudden cold snap in the otherwise warming global climate. During this time the Great Lakes were reduced to puddles. All I can conclude is that Sedna was around and there was an extreme global warming crisis and “wide scale trauma”. In 2005 a United Nations international treaty on climate change, came into force and all the 164 signatory nations promised to reduce their greenhouse emissions. Notably, not America! However the Governor of California, Arnold Schwartzenegger, then went over George Bush`s head and signed an anti global warming agreement with Tony Blair. It is now the responsibility of all governments around the world to quickly resolve the issue of global warming and Sedna has come to warn us of this. Her sudden thrust into greater prominence symbolically, flags up her intention to be heard more clearly now. If you were born with prominent Sedna energy, you may have always felt that something was `missing` somehow. You might feel the loneliness of the artic wastes and hear the voices of a thousand screaming seagulls. Perhaps Sedna`s familiarity with universal suffering means that compassion, victimisation and pain issues have taken over your life in different ways. You might attract damaged, lonely souls who themselves abuse and attack as a wounded animal will. Sedna feels at one with, and has authority over, the whole of creation. 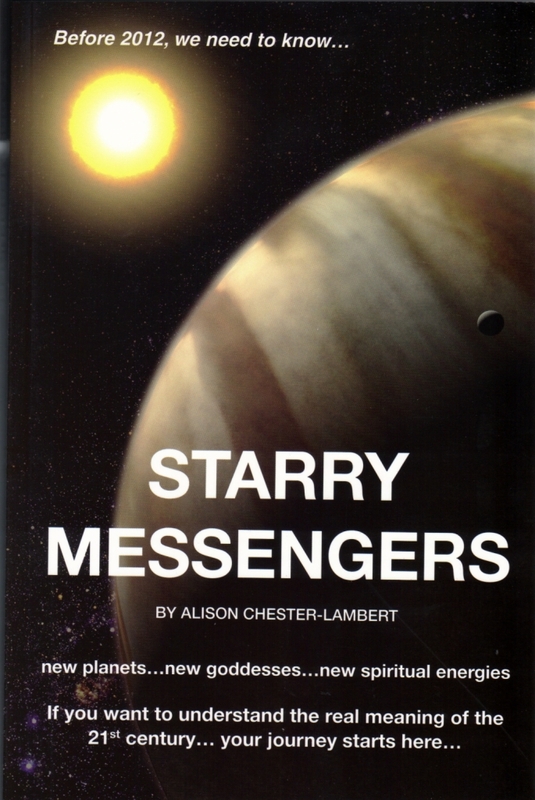 As a planet she travels nearly to the next solar system and back. She feels the pain and loneliness of nearly 11,000 years on her own, and responsibility for the essence or soul of creation. You need to find an outlet for this energy. Your lesson is to move out of this pattern, to toughen up and get firm with this painful and damaging cycle. Embrace global issues, animals and the planet instead, and in this way you will find your strength and authority. You were born different; you have a different drum beat to hear! Channel into animal charities. Become concerned about battery hens and birds, and all animals that are cruelly farmed and exploited. If you choose to eat animals, which Sedna is not opposed to in the myth, try to eat only those animals that you feel were properly respected. Be more at peace with animals, and your awareness that everything is one and you are part of it. Feel your connectedness. Become a caretaker of the planet. Sedna has come to give this message a focus, and raise this awareness globally. The stakes are too high for any one of us to ignore.